As someone obsessed with personal development and optimizing my life. I have tested many products for this purpose. This page contains everything I use and recommend. An amazing 2-day workshop with some of my favorite mentors Alexi Panos and Preston Smiles. Changed my life in so many ways for the better. Bridging the gap between Mindset, Embodiment training and Esoteric Wisdom to dig deep into what’s been holding you back. Click Here and add coupon code ConsciousMovement10 to get 10% percent off. A conscious man brotherhood led by one of my mentors Preston Smiles. A 4-month online program with you and 32 men diving deep into what it means to be a powerful conscious man. It gave me a structure and a safe space to work with my own masculinity in a healthy way whilst giving me the opportunity to be around and create friendships with some amazing men around the world. 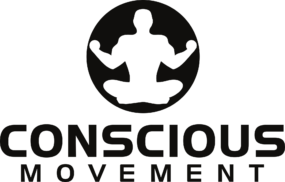 Click Here and add the code ConsciousMovement150 in the referred by section to get $150 off. Books I have read and continue to re-read again. Highly recommended and if you actioned these alone it would change your life considerably.